We’re headed South for the Winter! Join the ASTRO Family in San Antonio, TX from January 27th – 29th for PAX South 2017! The Penny Arcade Expo has been a staple in the gaming community for many years, hosting three days of video games, eSports, shopping and parties for all. The best and brightest movers and shakers from the gaming industry will be in attendance presenting their brands, engaging with fans and exploring what’s in store for 2017. This year the ASTRO Booth will feature new products, gaming competitions and killer deals on the latest and greatest gear. If you’ve never been to PAX or wonder why your friends go, watch our latest video for the full scoop. Day 1 of PAX South 2017 is finally here and so are new ASTRO Speaker Tags! Cartoon Network has done it again, delivering 5 new sets Rick & Morty Speaker Tags for your A38 Bluetooth and A40 TR Headsets. Available now both online at ASTROGaming.com and at the PAX South ASTRO Booth. To celebrate the launch we are hosting 5 special giveaways for our Rick & Morty fans @ PAX South! On Friday, Saturday & Sunday our PAX South Booth will have 2 displays featuring all 5 Rick & Morty Speaker Tag designs on ASTRO Headsets. 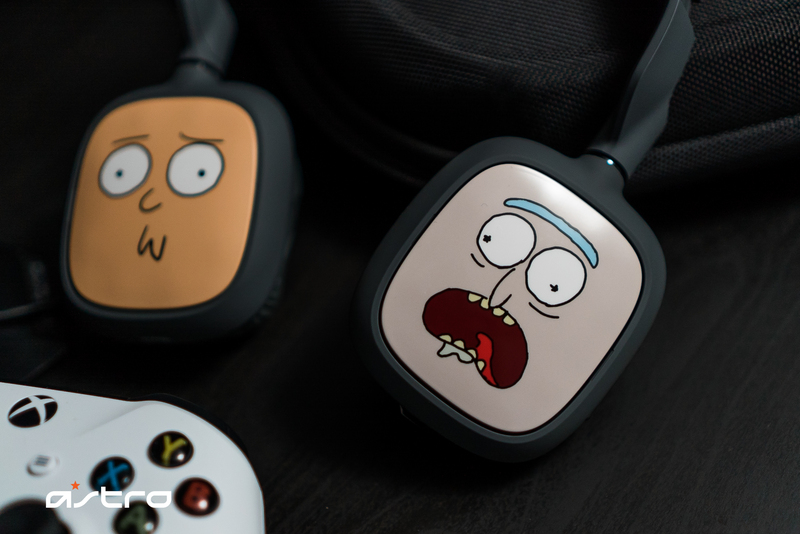 Several lucky fans at PAX South will have a chance to win these Headsets ft. Rick & Morty Speaker Tags by showing us which versions they like the most. 2) Take a photo of the Rick & Morty Speaker Tags in the ASTRO Booth displays that you like the most. 4) Post your photo on Twitter! 5) ASTRO will select & announce our winners each day on Twitter! 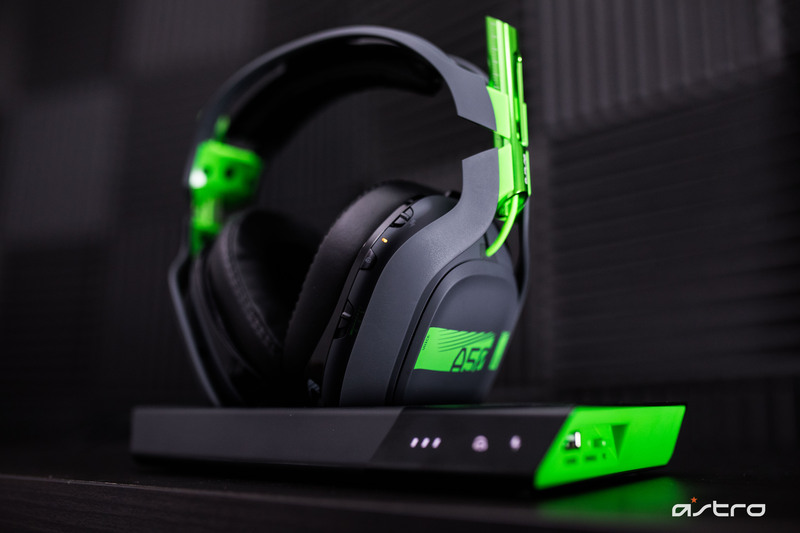 We will pick an A40 TR & A38 winner on both Friday & Saturday, with one Grand Prize winner on Sunday featuring Speaker Tags signed by the creator of Rick & Morty, Justin Roiland! GLHF! 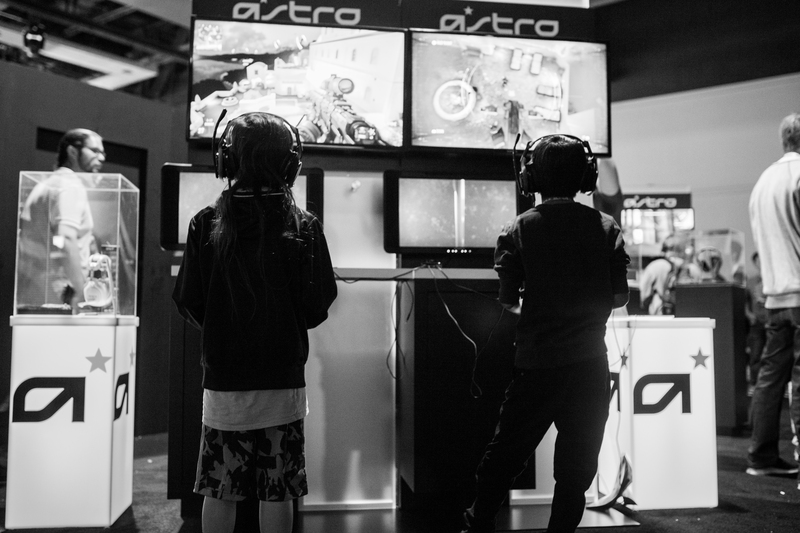 Upgrade your battle station & join the ASTRO Family at PAX South! Shop in our booth and save 20% on all of our products! We’ll have headsets, bags, apparel, accessories and more! Can’t make it to the show? Save 20% online @ ASTROGaming.com all weekend long with code “PAXSOUTH2017” at checkout! On Saturday 1/28 we will have a special Meet & Greet with Brian Hicks & Louis Doran from the DayZ Dev Team! Zombie shamble to the ASTRO booth at 2:30pm to ask your questions, get autographs, take photos and possibly even win some prizes. 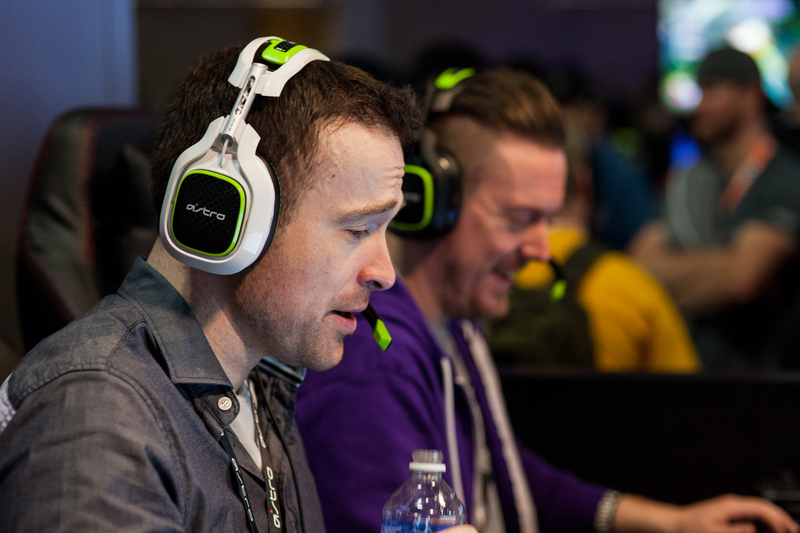 Stay tuned to the @ASTROGaming Twitter for updates! Play games in our booth & win killer prizes! We’ll be hosting a couple competitions over the weekend on both Xbox One & PlayStation 4 featuring Headsets, MixAmps, Speaker Tags and SCUF Gaming Controllers as prizes. Our first competition will feature a Call of Duty: Infinite Warfare Free-For-All Challenge. On Friday & Sunday from 3-5:30pm we will have a four PS4s linked up for competitors to battle each other in 5 minute rounds of FFA. Each competitor station will be equipped with an A40 + MixAmp TR and a SCUF Gaming Infinity4PS Controller to maximize your carnage. The 1st place from each round will advance to the next game to take on 3 new competitors. 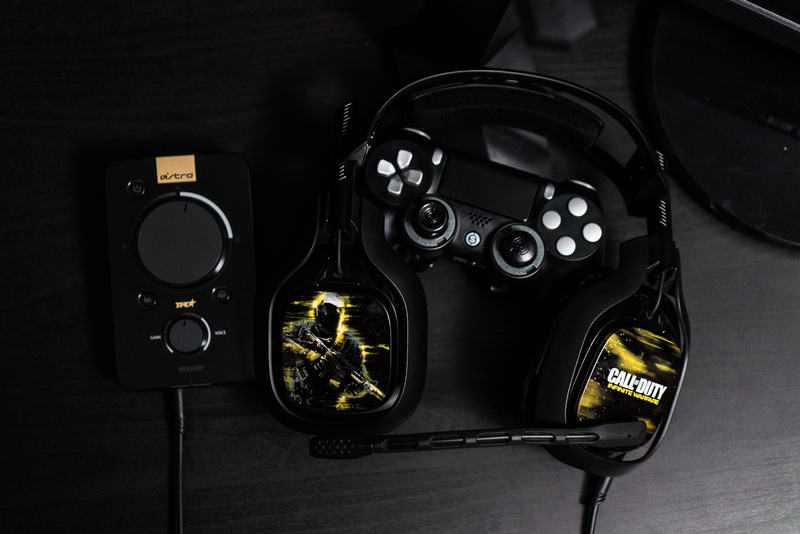 The top 2 competitors with the highest win streaks at the end of the day will both win an ASTRO A40 + MixAmp TR and Call of Duty: Infinite Warfare A40 TR Speaker Tags at PAX! Winners will also get to build a custom SCUF Gaming Infinity4PS Controller on the SCUF Website and have it shipped directly to their homes. Special shout out to #TeamSCUF for hooking us up with the added prizes and competition hardware! UPDATE: Drift0r from the ASTRO Stream Team will be joining us to kick off our Call of Duty Competition @ 3pm in the ASTRO Booth. Stop by on Friday to Meet, Greet & Compete! Our second competition will feature a brand new beta on Xbox One. Halo Wars 2 is the sequel to the original Xbox 360 title that reinvented Halo gameplay by converting from a First Person Shooter (FPS) to a Real Time Strategy (RTS) and expanding the Halo Universe. Halo Wars 2: Blitz combines the RTS style with a layer of card-based strategy making a one of a kind Halo experience. The Blitz Beta is currently free to play on both Xbox One or Windows 10 PC from January 20-30th with the full game releasing on February 21st. Saturday from 3-5:45pm we’ll have four Xbox One’s set up in our booth to play Halo Wars 2: Blitz. Each station will feature with an A40 + MixAmp TR and a SCUF Gaming Infinity1 Controller to help improve your combat efficiency. Players will compete in 1v1 matchmaking online against random opponents. If you defeat an opponent your name will be entered into our raffle. 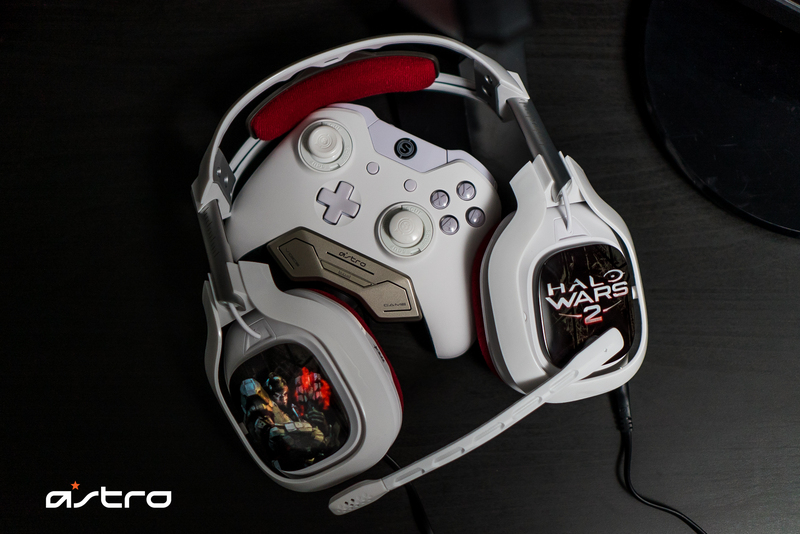 2 lucky winners will both win Grand Prize Raffle bundles including the A40 TR + MixAmp M80 and our new Halo Wars 2 A40 TR Speaker Tags at PAX! Winners will also get to build a custom SCUF Gaming Infinity1 Controller on the SCUF Website and have it shipped directly to their homes. Good luck Spartans! Download the Blitz beta and start practicing! All competitions will end at 5:45pm. We will announce the winners of our competitions in-person from our booth each day @ approx. 5:50pm before the expo hall closes at 6pm. We’ll also have extra sets of A40 TR Speaker Tags to award runner-ups that arrive for the daily prize announcement in our booth. Our winners will also have their photos taken and tagged on Twitter as PAX South 2017 ASTRO Champions! Along with our competitions, the ASTRO Booth will have several PC and free-play stations so you can test drive our products before you decide to purchase. We’ll also have knowledgeable staff on-site all weekend long that are ready and willing to answer your questions, so don’t be shy! We love to hear about your new projects, product questions or great ideas for gaming. As you wander the show floor you’ll also notice our Headsets & MixAmps are powering the audio for several of our partner booths. Nintendo, Amazon, Beam, Tripwire & Digital Percept will all be premiering new games, providing live experiences & hosting massive giveaways with our products – so be sure to spread the love and check them out as well! If you’ve never been to PAX South or San Antonio, Tx you’ll definitely want to read our new Things To Do @ PAX South article with details about the parties, panels and extra fun you can have exploring the city. We’ll see you soon, ASTRO Family! GLHF!